Keeping gadgets charged up has become a necessity while traveling. For a frequent traveler, a universal adapter with many types built in is definitely a travel essential. 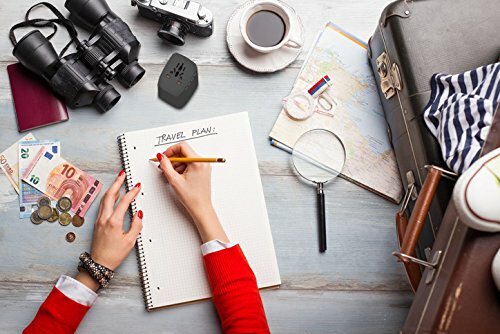 JARVANIA all-in-one travel adapter has 4 outlets and 4 USB ports, so you can charge up to five devices at one time – making it great for families or those traveling in groups. 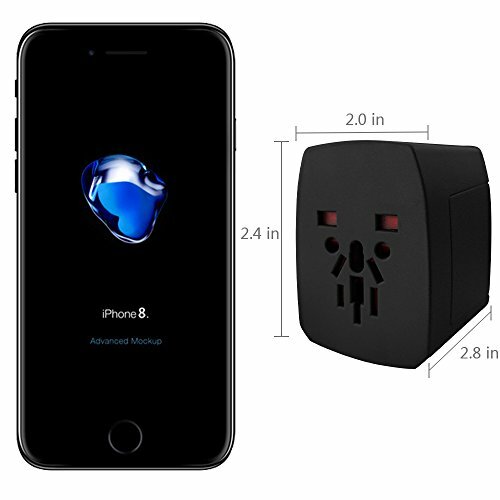 The international power adapter allow travelers to carry most high power travel appliances around such as hair dryers, hair irons，electric irons, electric pots, whose power is up to 2000 watts. 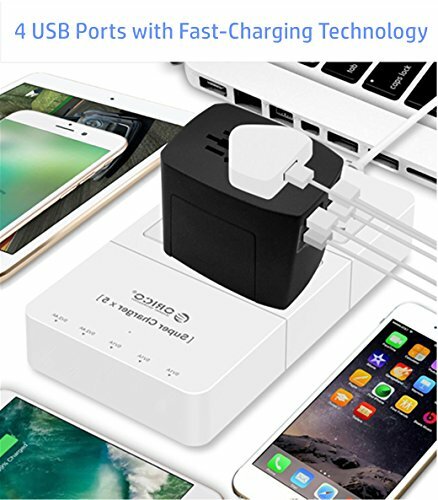 Four smart USB Ports apply to mobile phone, tablet, digital cameras, headphone, and other electric devices, allowing four units being charged simultaneously. Moreover, quick-Charging Technology saving more time for travelers. JARVANIA travel adapter is not compatible with high power devices whose output power is over 2000W. [Compatible with High Power Appliances up to 2000W] JARVANIA Travel Adapter is designed for international travel or abroad business trip. 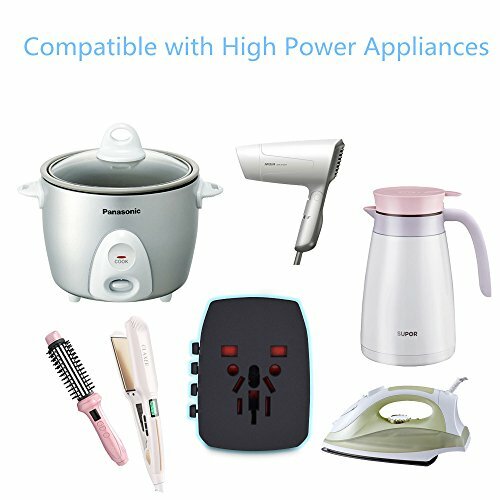 The international power adapter is perfect for most high power travel appliances such as hair dryers, hair irons, electric irons, electric pots, whose power is up to 2000 watts. Compact design and international voltage compatibility (AC 100-250V) make the power converter perfect for traveling around the world. 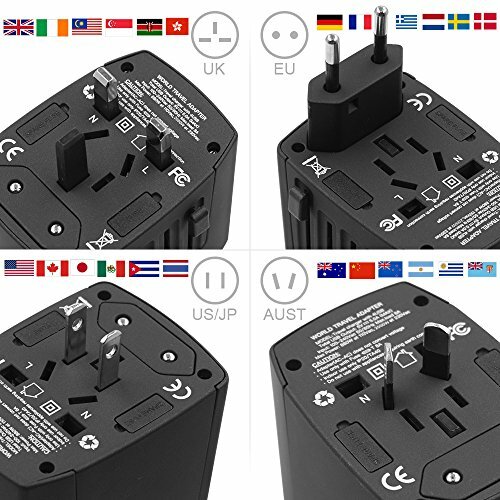 [Over 150 Countries Worldwide Compatibility] JARVANIA travel adapter can be used in over 150 countries in America, Europe, Asia, Africa, the Middle East and so on. 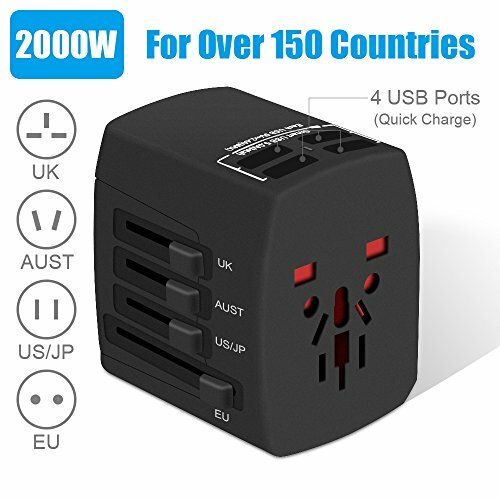 All the standard plugs in those countries are included in this universal travel adapter. Travelers never have to worry about keeping their gadgets charged up when on a trip. 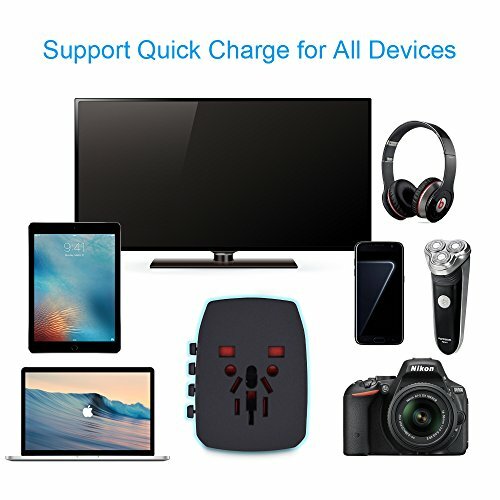 [4 Quick Charge USB 3.0 Ports] JARVANIA international power adapter comes with 4 USB 3.0 Ports, which allows users charging 5 devices or appliances simultaneously, perfect for families or those traveling in groups. Furthermore, our travel adapter uses Qualcomm’s latest USB charging technology, which is faster than standard chargers, delivering the fastest charge to your devices, saving more time for travelers. [Multi-Protect Safety System] JARVANIA universal power adapter is qualified with FCC CE and RoHS Certified safety system. 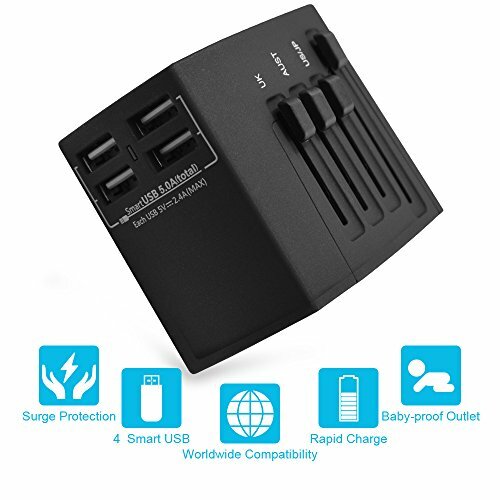 With surge protection, short circuit prevention, temperature control, and other advanced safety features, always keep users and users’ appliances safe, which makes JARVANIA international power converter ideal to take and use anywhere in the world. [18 Months Worry-Free Warranty] At JARVANIA, we provide the travel power adapter an 18-month warranty and offer friendly, easy-to-reach support. If you have any problems with the travel adaptor, please feel free to contact us and we will respond in 12 hours.